ERATH COUNTY (January 30, 2019) – An anonymous tip to The Flash Today has revealed what appears to be a case of unusual focus upon an individual and his family by the Erath Central Appraisal District following a lawsuit that occurred almost a decade ago. The property owner and his family are not being identified by The Flash. The individual, along with a reported 20 more people, were part of a group of businessmen who gathered in 2008 to discuss their concerns over rising property values, the tactics used by the Erath County CAD’s chief appraiser Jerry Lee and whether or not Lee needed to be replaced. Lee’s response was to file a lawsuit that never made it before a judge’s gavel with whispers of confidentiality agreements circulating Stephenville. There were reports of individual payments of $25,000 being made to Lee and not just by the people listed as defendants in the original petition. According to various reports, only one business person refused to settle in what was called a “money grab” from wealthy people who more than likely were unaware of any rule or law breaking — as they had been invited to a lunch gathering. It is unknown if Lee sued all the people who attended the meeting, but payments were made. A State Attorney General’s attorney was among lawyers who took depositions in the case. The Flash Today obtained a copy of the original petition for readers to review. A copy of Lee’s original petition to the 266th District Court can be found here. Lee either used his own money or paid contingency fees to file suit against people he alleged were after his job. If true, the Erath County CAD has used so much money and effort it appears the organization can never hope to regain the money spent in the alleged targeting of one family – especially in light of about what seems to be a 10-percent success rate in arbitration against the owner. And it continues as the same property owner has been successful in arbitration one year, only to be back in arbitration again, having to fight an increase the next year. The rules governing property tax values generally require a “lay-off” from the (winning) taxpayer by the CAD the following year. Then again, apparently the rules may or may not apply depending on whether you are a taxpayer or an Erath County CAD official. In May 2018, the Erath County CAD received a printed copy of a text alleged to be from a family member of the property owner about how much money he wanted for a piece of land in Stephenville. 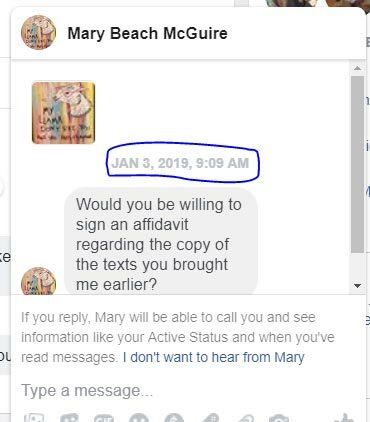 Commercial appraiser Mary Beach McGuire was the recipient of the printed piece of paper with the “text” and apparently placed it in a case file. Eight months later, and with arbitration deadlines approaching, McGuire followed up on the text using a Facebook message seeking an affidavit as to its validity. Therefore, her source did not see her request. Despite several avenues available to her to make contact with a potential witness McGuire apparently only used Facebook messenger. 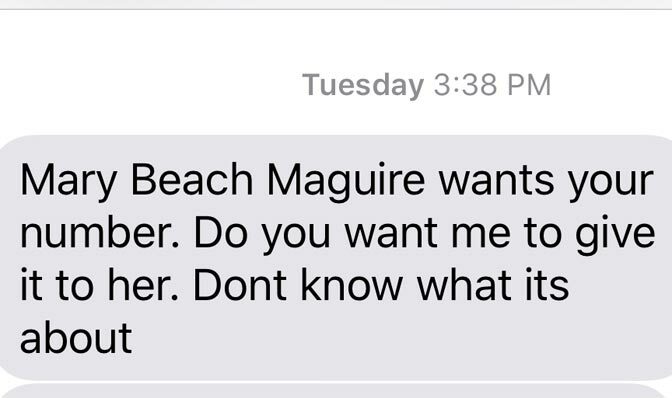 With the deadline for arbitration evidence looming and no response to her message, McGuire submitted the text without an affidavit or proof of the text even actually existing. The text would become known as the Erath CAD’s “Exhibit #28” in the case. When asked why she had not attempted to make additional contact McGuire said she didn’t know “how to reach her source in other ways.” But the two share more than 75 Facebook friends. However, less than 20 minutes after claiming she was unable to make additional contact, McGuire demonstrated she did have such knowledge – the source said his ex-wife texted him saying McGuire contacted her in an attempt to reach him. In prior arbitrations, the Erath County CAD has established a record of demanding verified evidence and has gone so far as to ridicule portions of federal income tax returns and calling them doctored or fake. The Erath County CAD has required property owners to completely open their books if they wish to prove their values. Meanwhile, apparently, if you are mad at your neighbor or the business next door, you can walk into the Erath County CAD hand them a piece of paper that reads “Property ABC which is currently valued at $500,000 is being offered for sale to me by the owner at $750,000.” And, apparently, that can be used against the property owner. Oddly, McGuire isn’t required to get an affidavit to prove the validity of her evidence. 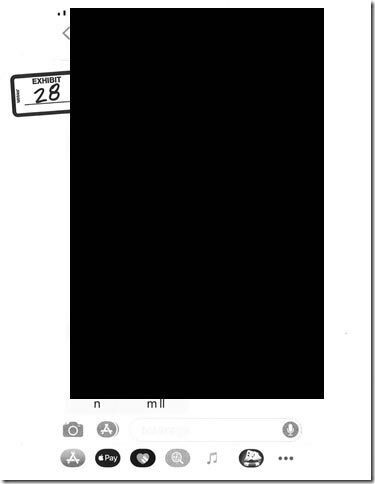 The truth is the Erath County CAD had absolutely no clue as to the text’s origin or validity and never asked to see the phone that was alleged to have received the so-called text. There must have even been suspicions about the text or McGuire would not have taken the unusual step of seeking further validity. Which only raises the question – why would the Erath County CAD submit evidence where due diligence had not been done? If the evidence does not need to be substantiated, why did an Erath County CAD commercial appraiser reach out and seek out a source for an affidavit via Facebook and then his ex-wife? “Ms. McGuire may have reached out on her own time to get an affidavit on Facebook, but it wasn’t something the Erath County CAD required,” Lee said. McGuire’s message to the source was sent at 9:09 a.m. on Thursday, January 3, 2019. It is shown below. Both Lee and McGuire have said in the past that their jobs are not affected by personal opinions or dislikes. However, looking at McGuire’s actions in this investigation, it would appear she is focusing on at least one set of property owners. McGuire and the Erath County CAD lost an arbitration case over the same piece of property two years ago, and a day after losing the arbitration McGuire was found at the property shooting new photographs. In this and other cases with the same set of property owners, McGuire has submitted noncomparable properties or properties which do not meet comparable standards because they were sold to or by nonprofits or organizations like Tarleton State University. Why all the focus on one set of people? What happened to garner so much of the Erath County CAD’s attention and supposed tens of thousands of unrecoverable taxpayer dollars? While no one is admitting anything publicly, the attention appears to stem back to the 2009 lawsuit filed by Lee. The property owner in question was at the meeting of local business people, a defendant named in the legal filing and was reported to have been the only person who did not back down and settle. The exact outcome of the lawsuit is unknown as there is no record of it ever going to trial. But there are repeated records of the Erath County CAD putting massive values on property owned by this one family, with repeated arbitration cases and repeated rulings not falling in the CAD’s favor. 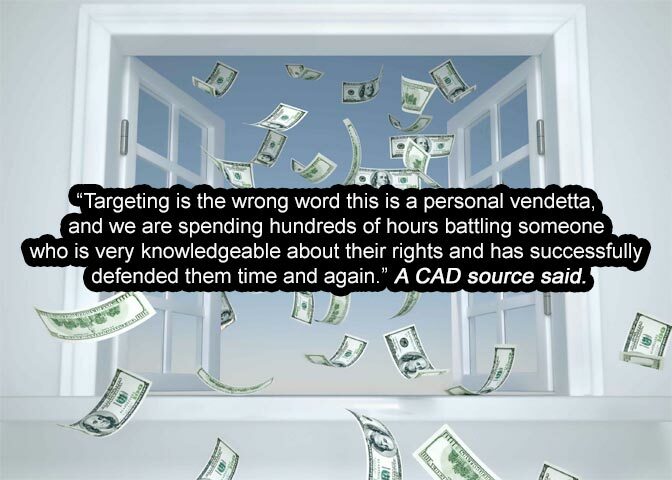 “Targeting is the wrong word, this is a personal vendetta, and we are spending hundreds of hours battling someone who is very knowledgeable about their rights and has successfully defended those rights time and again,” a CAD source said. It is unknown when the property owner’s most recent case is scheduled for arbitration; however, it does appear they will have some rather interesting evidence of their own to show this time around.